Just because the 4th is over doesn't mean you have to stop being patriotic. 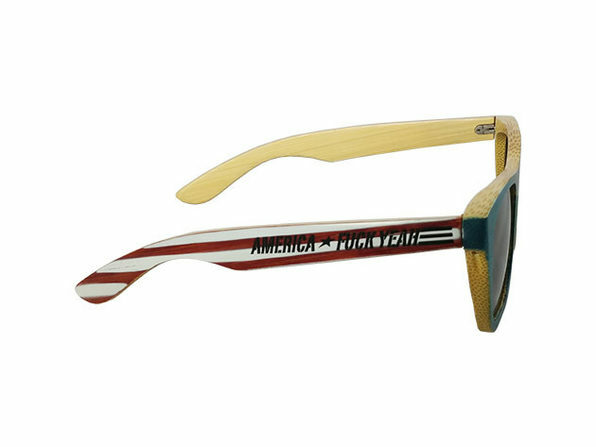 Once you're equipped with these special American Edition shades, you'll be part American no matter where you're from! 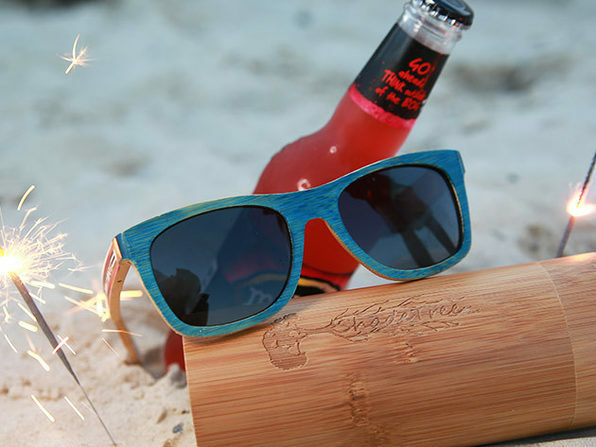 This pair of bamboo shades swagger the line between parades and beaches, giving you an air of chill on one side, and an air of "I don't give..." well, you know, on the other.